As promised in yesterday's post, here is a new(ish) outfit. I originally got the idea from Wendy's gorgeous outfit. I love her outfits. She always looks so polished. Although I will say that I am curious as to what she is wearing underneath her jacket because her dress is sleeveless. 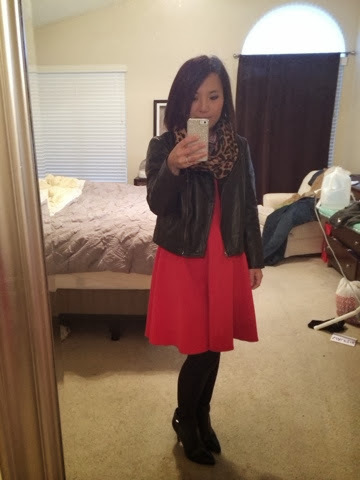 My dress also happens to be sleeveless and I could not figure out what to wear over/under it to keep me warm in today's drizzly, dreary weather. I feel like Mrs. Claus and patriotic all in the same outfit. But nobody really saw the patriotic outfit today because I kept my jacket and scarf on all day because even with the space heater going, I was still freezing. Texas girl problems. I may or may not post tomorrow. Nathan is having surgery to remove a chalazion. I've been able to stay calm up until now. I have adverse reactions to anesthesia and J's had a botched lasik procedure. Hopefully all goes well and be back to posting come Friday. You look gorgeous! 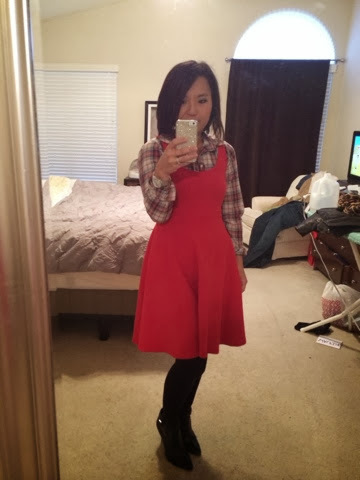 I love that red dress over plaid! And I also love your sparkly phone case! 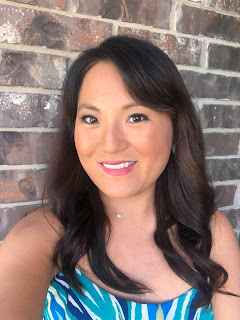 Visit my blog and enter to win a bracelet from Urban Peach Boutique!